In the article, the author criticizes Turkey for attacking Afrin and alleges “Afrin, along with the cantons of Euphrates and Jazira (PYD/YPG-controlled areas in Syria) is experimenting with a form of bottom-up, direct democracy that is arguably more progressive than any other system in the West.” Although the author tries to present the PYD/YPG as a progressive democracy, the PYD/YPG’s record of its treatment against the opponents and people living under its authority in general says exactly the opposite. The PYD/YPG has a long track of human rights violations varying from recruiting child soldiers to the forced disappearances of its opponents and forced displacements of masses. An Amnesty International Report (2015) states “by deliberately demolishing civilian homes, in some cases razing and burning entire villages, displacing their inhabitants with no justifiable military grounds, (PYD/YPG) is abusing its authority and brazenly flouting international humanitarian law, in attacks that amount to war crimes.” The report mentions that in some cases, PYD/YPG militants threatened civilians with calling US airstrikes if they would not leave their villages. A Human Rights Watch Report (HRW) in 2015 emphasizes that PYD/YPG regularly recruits child soldiers despite its promises to “follow up” such cases. Another HRW Report accuses PYD/YPG of arbitrary arrests, unsolved disappearances of its opponents (at least nine of them being prominent figures in the region) and again, recruiting child soldiers. Furthermore, the PYD/YPG continues to carry out terror attacks which pose a serious threat to anyone living in and around the region. On 21 January 2018, it targeted two hospitals in Azaz in northern Syria that left at least one killed and 15 injured. Since the beginning of the Syrian Civil War, the PYD/YPG carried out similar attacks in which 407 civilians killed, including 51 children. Finally, the official political stance of the PYD/YPG is not to support democracy, but an extreme version of the Marxist-Leninist ideology supporting to impose one party rule. 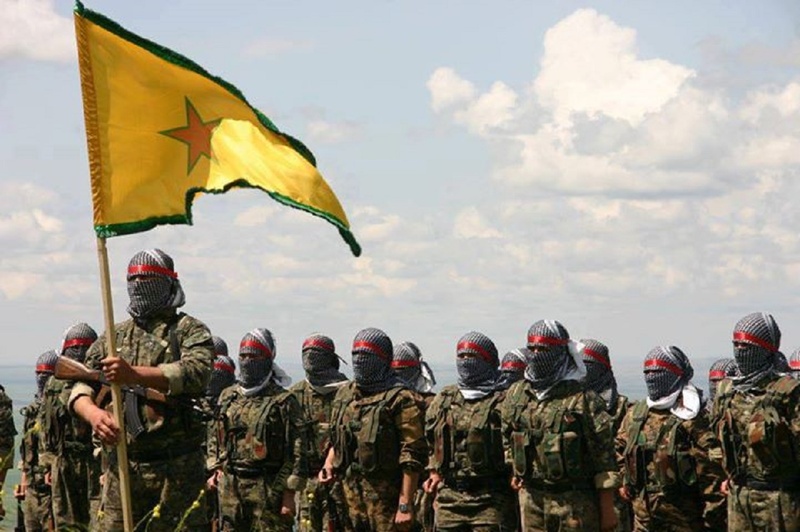 A report of Canada-based independent research institution Centre for Research on Globalization describes the PKK and its Syrian affiliate PYD/YPG as “cult-like radical movements that intertwine Marxism, Leninism and Kurdish nationalism into a hodge-podge of ideology, drawing members through the extensive use of propaganda that appeals to these modes of thought.” The report also states that kidnapping, murder, and narcotics trafficking are among “the notorious crimes of the group”.